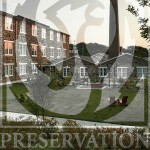 Marks, Thomas Architects is proud to announce that Union Mill has won Preservation Maryland’s 2012 Phoenix Award for the restoration of Union Mill. 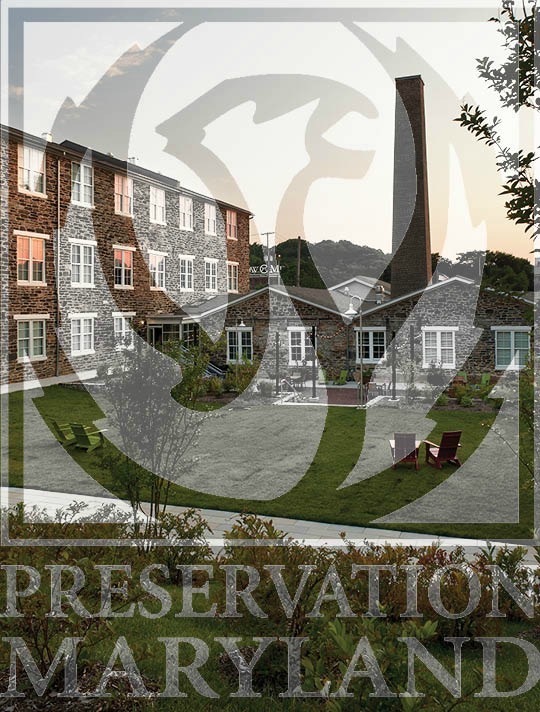 Preservation Maryland selects one project, each year to receive the Phoenix Award, recognizing excellence in revitalization of historic resources, based on the nominees’ commitment to historic preservation and community revitalization. The renovation of the historic Druid Hill Mill, now known as Union Mill, embodies the next generation of thinking in the integration of sustainable design strategies into the adaptive use of historic industrial structures. Union Mill, located in the Hampden Historic District, is listed on the National Register of Historic Places for its association with the industrial history of the Jones Falls. The Italianate structure of coursed stone walls was originally built in 1866 with a substantial addition constructed in 1872 that doubled the size of the facility. A distinctive four-story bell tower on Union Avenue was used to call factory workers to work each day. By 1872 Union Mill was the largest stone mill in the state of Maryland and the largest manufacturer of cotton duck in the United States. Prior to the renovation the boiler house was separated from the residential wing by a narrow slot. It was this slot that was used to create the entrance to the residential wing – a unique layering of past and present. A canvas railing, stone and brick walls, wood timber and steel beams are all woven together in a single space. The slot also allows views out to the lush half-acre central courtyard. There is significant grade change in the courtyard, so a series of tiers were created – an urban forest, a grass meadow, a seating level of salvaged brick pavers – all carefully designed to ensure that they do not compromise the history of the building. The property was renovated in compliance with the Secretary of the Interior’s Standards for Rehabilitation, requiring a high-degree of preservation quality, and is designed to Baltimore City Green Standards Two Stars rating – the equivalent of LEED-NC Silver Certification from the United States Green Building Council.